A sense of relief that private sector IR35 reform will be both delayed and inapplicable to small clients is giving way to increasingly fierce disquiet over the chancellor’s plans. In fact, despite the delay until 2020 and his let-off for PSCs without large or mid-sized clients, the “very bad news” for contractors of Budget 2018 is that imposes an unknown. “We don’t actually know how the rules for the private sector are going to work and do not have certainty,” said Bauer & Cottrell, having read the reform consultation’s formal reply. So many ‘problems’ in fact, that the government admits it must first “refine the design of the reform” -- the off-payroll rules of April 2017, the very model for the proposed 2020 rules. The government also concedes in its consultation reply that HMRC needs to “improve the CEST tool,” -- belatedly, experts say, and after much insistence to the contrary. The CEST improvements “include” (so are not limited to) three areas; CEST “saying more” about MOO; how CEST should treat multiple contracts and CEST’s language. This represents a complete change of tack. In June, HMRC spoke of no need to update CEST because it was “working well.” More recently, it said CEST did not need to test for MOO. Alongside this multi-pronged relook at CEST, and the refining of the reform model itself, the government skates over a few other issues which have not eluded experts. It smacks of another climbdown because in July, HMRC disagreed with an industry trio who outlined how ‘reasonable care’ was being flouted. Now, HMRC is being told to tighten it up. “The main concern [for PSCs facing the off-payroll rules of 2020] is that their clients can be expected to avoid risk by being overcautious in their categorisation,” warns tax firm BKL. “Some sanction must [therefore] be introduced to guard against this,” and deter the resulting ‘blanket’ inside IR35 determinations, urged the firm’s tax consultant David Whiscombe. It means the framework set to be a model for the 2020 IR35 rules only encourages clients to determine ‘not a genuine PSC,’ and therefore akin to staff, not the other way around. Carolyn Walsh, an ex-tax official reflected: “The biggest problem to come from the IR35 reform in April 2017 was a huge number of contractors being misled into closing their PSC. “All this falls short of admitting that the public sector rules have been a failure,” says Bauer & Cottrell’s co-founder Kate Cottrell, a former tax inspector who now specialises in IR35. “And all of this will be subject to yet another consultation in the coming months…so it is going to be very difficult for businesses to start making plans [now]”. Helen Christopher, a director at Orange Genie, says not only will the “devil be in the detail,” but that also, much of that detail will be under wraps until the draft finance bill next summer. Yet the problem then will be that, by that time, the UK would have left the EU, which could cause an about-turn in who precisely is going to be exempt from the 2020 rules. “The current definition [of a ‘small business’] is of a business that has fewer than 50 employees, and either turnover or assets of under €10m, including associated businesses. Others are happier with the timeframe. “Businesses will have enough upheaval to deal with in 2019 with the combined effects of Brexit and the rollout of MTD,” said tax charity the ATT. For that guidance, it is the likes of the Chartered Institute of Taxation (CIOT), the Association of Taxation Technicians (ATT) and Orange Genie, a contractor accountancy firm, who will be consulted. “HMRC will continue to work with…tax experts and businesses to develop CEST and associated guidance,” officials say in the ‘Off-Payroll Working in the Private Sector’ reply. A professional staffing business believes that it’s not only good old-fashioned hard work that HMRC should do in the extra time that it has been afforded by chancellor Philip Hammond. “We hope HMRC will take this period to reflect upon the deeply flawed regulation,” said Colin Morley, a director at Harvey Nash Recruitment Solutions, referring to the 2017 rules. Meanwhile, Intouch Accounting hopes that the Revenue will use the window between now and then to clarify ‘reasonable care,’ and spell out how the ‘challenge process’ will work. He is not alone in suggesting that the immunity from private sector IR35 reform which Budget 2018 grants to small businesses might be only temporary. 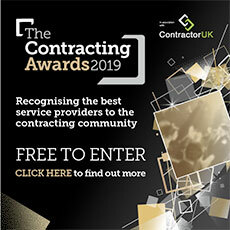 The ‘next steps’ will add to the contractor sector’s disquiet, which is already in abundance from the 2017 rules being all but apologised for by the government, and the ensuing 2020 rules being incoming but unknown. “The off-payroll rules are so complex and crude that genuinely self-employed people will be swept up…and in many cases [in the private sector], taxed out of operation,” IPSE warned yesterday. Richard Hepburn, operations manager at Gorilla Accounting, is optimistic that delaying the rules from this coming April to the following April could, in the meantime, derail them. “The [postponement until] April 2020 …will hopefully prevent end-clients or agencies incorrectly blanketing contractors as being caught by IR35. Chris Bryce, IPSE’s chief executive reassured: “The fight against this crude and unworkable policy isn’t over. A former contractor himself, Mr Bryce indicated that should the association’s efforts not succeed, the implications for business start-ups would be dire. The government estimated yesterday that private sector IR35 reform should raise more than £3billion between 2020 and 2024. And according to IR35 expert Kate Cottrell, it could hit contractors even harder next year.